Flat rate shipping $9.95 and free shipping with purchase of $120 in Canada. Flat rate shipping $9.95 and free shipping with purchase of $120 in Canada. 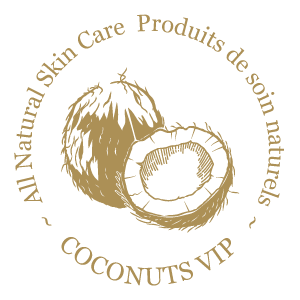 At Les CocoNuts, we passionately strive to provide you with products made only from the highest quality of all natural and organic ingredients. Our goal is to exceed your product and customer satisfaction expectations. Look around our website and if you have any comments or questions, please feel free to contact us. Le grand pot is perfect for use from head to toe. Made of our pure coconut oil, it is safe and gentle; ideal for use on dry or brittle hair and beards, it is also a perfect natural make-up remover, a natural skin moisturizer, it can be used to soothe bug bites and sun burns and is a a safe chemical-free personal lubricant. Our organic cold-pressed coconut oil melts with the warmth of your fingers. *Cocos Nucifera (coconut) oil. *Organic, Cold pressed & Extra Virgin. Our Coconut Oil is simply pressed and retains its original nutrient content. Travel: Although you will not melt in the heat, I will. Please make sure that I stay cool and properly sealed in your luggage.